Burgers Made Better. Automation doesn’t mean cutting corners. We’re working to make the best burger patties in the country, completely customised and delivered fresh. We like to think we’re not just butchers at Haverick, we’re supply partners, which means we don’t just send hunks of meat into your kitchens but we listen to you and work together to tailor how we work to serve you best. If we’re talking practically, a product that really displays this collaborative effort best is the humble burger patty. As burgers have transitioned into top billing items on menus and are given as much focus as any primal cut as they should be, we can’t stop eating them! 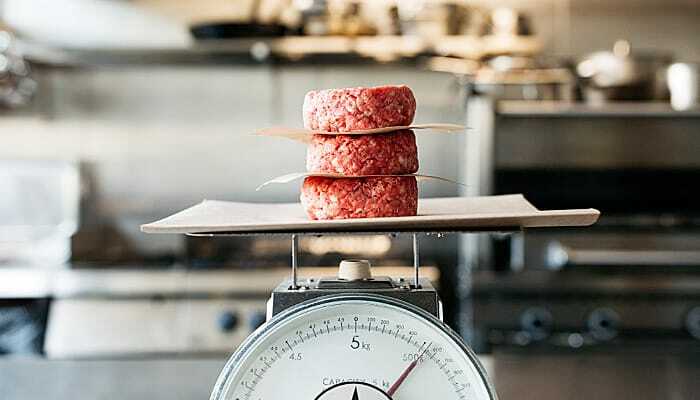 we’re working with many of you to raise the bar and make the best burger with the best ingredients that will make your customers come back for another (and another). The first step is obviously nailing the patty and this is where we come in. For us, innovation in this space isn’t all about shiny equipment and automation (even though those things certainly help, more on that later). It’s about partnering with chefs so you can put up the best food you can, while still making the most of your time. One of the first guys we worked with to really perfect the patty was Warren Turnbull, who we’ve been working with for over a decade now. Warren was initially hand mixing and pressing beef patties for his burger shop, Chur Burger when it opened in Surry Hills in 2013. Though hand pressing patties was fine in the short term, the time this was taking was extensive and frankly quite unsustainable in the long run. Plus, consistency is always an issue when making anything by hand, no matter how many Italian Nonnas will tell you otherwise! After working with Warren on his exact combination of grainfed, marbled chuck and brisket with no additions aside from salt, we began blending the meat using our technology and delivering them already pressed exactly to his specifications, so any issues around resourcing or consistency instantly went out the window. Since then, we’ve worked with the likes of Jordan Toft, Dan Hong and the team at BL burgers to deliver expert burgers fresh every day, exactly how they want them, each of them unique in blend, seasoning, weight, height and more. 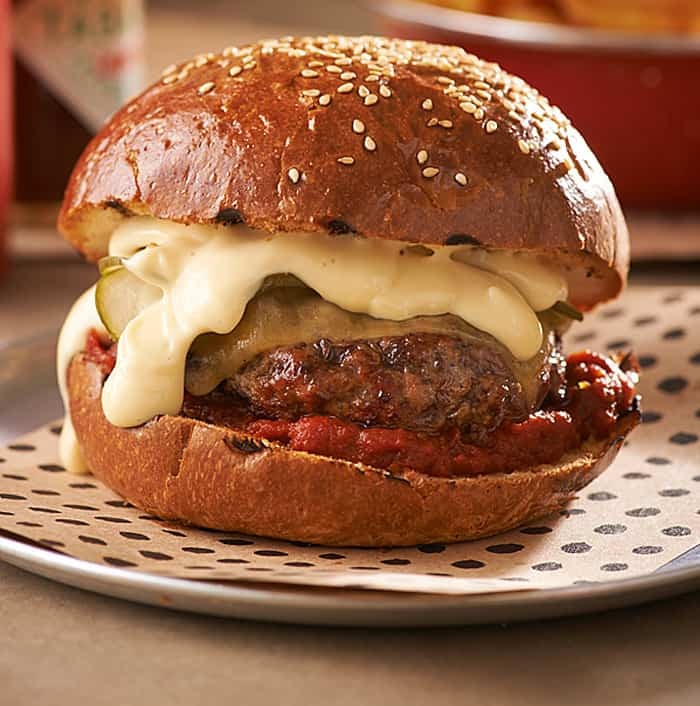 To walk the walk, we use a state-of-the-art low-pressure machine sourced from Germany which instead of using the typical method of pressing burgers out of a fixed mould, the shape is formed and cut with an extremely sharp knife, so the patty isn’t compressed in any way. 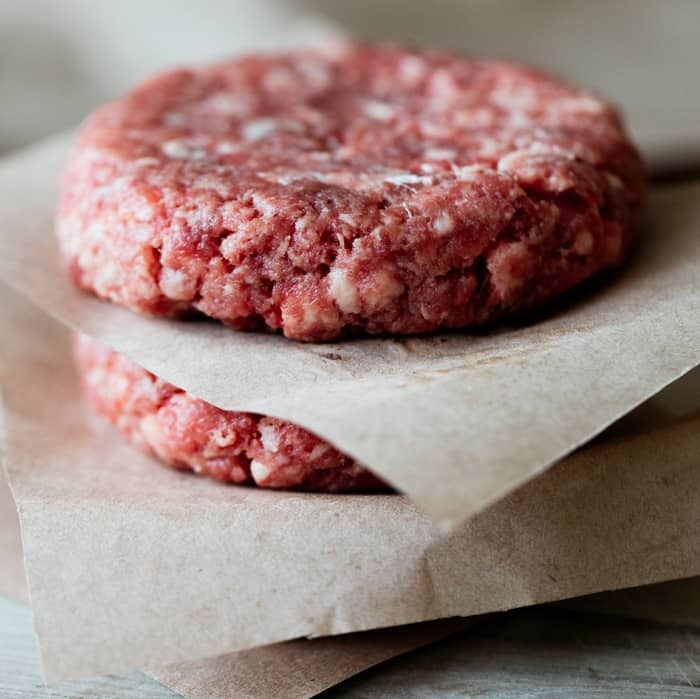 Burgers that are punched from moulds get compacted and crushed, which affects their tenderness. The brilliant German efficiency of our customised technology also means we can not only make the best patties on the market, but we can make up to 10,000 of them fresh every day, ready to be delivered at the exact right time for the day’s service, exactly to your specifications. How’s that for innovation? Now, pass the sauce. ← A Tale of Two Grills. To charcoal, or not to charcoal? A Tale of Two Grills. To charcoal, or not to charcoal? Our new and exciting business portal is coming soon.